If you always thought massage was an indulgence for pampered people and pro athletes, we’ve been right there with you, dropping hints for a birthday spa visit. But this mode of self-care is such a broad topic that we asked Stacy Stevens, a licensed massage therapist and technical trainer with Massage Envy Franchising, the franchisor, to educate us about the benefits of massage. It turns out that there are many reasons—from functional performance to postural improvement—that point to massage as an important part of a health and wellness regimen, and there are modalities that you might be surprised to find among massage offerings. Here’s the scoop on the therapeutic benefits of massage (and don’t dismiss relaxation so fast, either). 24Life: What is the importance of the distinction between stress relief and relaxation? Stacy Stevens: Relaxation and stress relief are interdependent. Stress is universal, and it’s not always bad. Whenever you jump to catch something, feel a rush of energy before an important meeting or hit the brakes just in time to avoid a car accident, you feel stress doing its job. Your adrenaline boosts your heart rate and cortisol boosts your blood sugar while diverting energy away from your digestive and immune responses. This “fight or flight” stress response can help keep you safe. But without any relief from this stress, you can’t relax, and that can cause problems for both body and mind. 24Life: What else does massage do for us besides relax us? SS: From slouching in meetings to hunching over phones, our daily activities put a lot of strain on us, especially in our backs and necks. But unlike other bad habits, poor posture can be relaxing to correct. Why? While exercise can make muscles made sore by bad posture work harder, massage can help relax and loosen those muscles, allowing your body to position itself in its natural and pain-free posture. With ongoing massage, muscles can be loosened and relaxed, joints can have greater freedom and pressure points can be relieved. This can also lead to an opening of the chest area and better alignment of the rib cage, making more room for the lungs to expand. So not only can massage help you sit up straighter, it can help you breathe easier. 24Life: What are some newer practices in the realm of massage? SS: People seek out massage to keep their bodies working, whether that means undoing the effects of daily stress, managing pain, recovering from injury or anything in between. Assisted stretch is another tool—used alone or in conjunction with massage—that supports that same goal. That’s why massage therapists employed by Massage Envy franchisees use an exclusive technique called the Streto Method, combining over 15 years of massage expertise with the latest stretch research. The Streto Method follows the concept that relaxation starts with the brain and travels downward, so the Total Body Stretch services we offer begin with the neck and shoulders and progress down to the feet. Each stretch builds on the others to provide a full-body stretch. The Streto Method can be used alone as an introduction to bodywork, an assessment tool or as another modality to help clients reach their goals. When you add the conditioning and recovery that comes from assisted stretch with the muscle loosening, relaxing and soothing effects of therapeutic massage, you get a winning combination that helps increase performance while helping to reduce injury and relieve fatigue. 24Life: So many of us skip stretching in our workout routine—what do you wish people would consider before they leave the gym or jump in the car? SS: People tend to think of assisted stretch as something that only athletes need or can benefit from. But it’s really for everyone. Reduced flexibility and muscle coordination are a product of aging. Assisted stretch can help fight the negative impact age can have on mobility. A regular, assisted stretching routine also helps keep muscles active and engaged, which leads to improved performance in routine daily activities like lifting groceries, reaching the top shelf and just sitting at a desk all day. Also, people are sometimes hesitant to consider assisted stretch because they feel they’re “not flexible” by nature or they’re “not good at stretching.” The truth is that anyone and everyone can benefit from assisted stretch no matter how flexible they are (or aren’t). A properly trained service provider will perform specific movements that deliver more than you can achieve stretching yourself. They guide you throughout the service, they coach you through breathing, they make sure your body is in the correct position to get the best stretch possible, they help you find the right level of intensity, and they make sure to maintain the amount of time that you’re stretching so you get the maximum benefit. 24Life: Can someone experience all the benefits of massage (stress relief, relaxation, posture, breath) from every type of massage? SS: Finding stress relief through massage is less about the type of massage you get and more about getting the best kind of massage for you and getting it regularly. That’s why massage therapists in Massage Envy franchised locations work with clients to understand their goals and customize every massage (and stress relief) session to help achieve them. Clinical studies show that even a single 90-minute massage therapy session can significantly lower your heart rate, cortisol levels and insulin levels, all of which explain why therapeutic massage—no matter what kind you get—and stress relief go hand in hand. 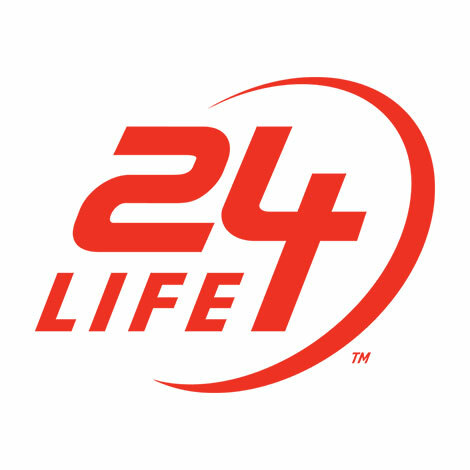 24Life: Is there a type of massage that you wish more people would use? why? SS: Therapeutic needs vary from person to person and from day to day, so the key is getting the kind of massage that’s right for you and getting it regularly. From Swedish and sports massage to trigger-point therapy, from prenatal massage to deep tissue, there are lots of different types of massage. It is also great to explore a variety of ways to further customize each massage. Consider more traditional enhancements, like adding aromatherapy or hot stones. One of my favorite enhancements with my therapist is to add Rapid Tension Relief, which uses vibration technology to help ease muscle tension and minor aches and pains. I also like to think about the oils used on my skin and the added benefit of requesting highly concentrated serums that have antioxidants and can provide skin-enhancing benefits during my massage. There are so many ways to make a massage even better. Ideally, your massage therapist will focus to understand the needs and goals of the individual and will partner to create a customized body-care routine to help meet them. Stacy Stevens has been with the Massage Envy brand since 2009 when she started as a Massage Therapist in Connecticut. She went on to hold the roles of Regional Massage Therapist and Massage Therapist Manager, before she began working for Massage Envy Franchising, LLC as a Technical Trainer. Stacy is the subject matter expert on the Technical Education team within Learning & Development for Massage Envy Franchising, LLC. Massage Envy Franchising LLC (“MEF”) is a national franchisor of independently owned and operated franchised locations. Each individual franchised location, not MEF or any of its affiliates, is the sole employer for all positions posted by a franchised location, and each individual franchised location is not acting as an agent for MEF or any of its affiliates. Hiring criteria, benefits and compensation are set by each individually owned and operated franchised location and may vary from location to location.